Now that the ECG Heart Rate Monitoring feature is finally available in more than 20 countries & territories around the world with Apple Watch Series 4. We thought it’d be a great idea to offer users with a quick run-through about this much-talked feature. Here’s our simple guide to know What Is ECG, how do you use it, how to take an ECG test & share results for the same. For people who aren’t ‘au fait’ with medical terminology: Electrocardiogram aka ECG is a medical test that records the timing & strength of electrical signals produced by the heart. With an ECG test, a doctor gets an insight about one’s heart rhythm & take actions if detects any irregularities which can lead to stroke or other heart-related issues. The new ECG feature is not meant for detecting heart attacks. It cannot check signs for blood clots or stroke. The ECG app is not intended to sense heart-related conditions like cholesterol, blood pressure or arrhythmia. The feature can only monitor & alert irregular heart rhythms & detect Atrial Fibrillation (AFib) which can increase the risk of stroke, heart failure or other heart-related issues! What does Apple’s ECG Feature do? Before diving into whys & wherefores of Apple Watch’s ECG feature, let’s get to know what it’s actually doing. To put it briefly, it’s designed to monitor the electrical patterns of heartbeat. It’s measured through the ‘Heart Rate Monitor’ present underneath the watch. You need to place your finger on the Digital Crown for at least 30 seconds. It will let the ECG app check pulses & analyses whether both upper & lower chambers of the heart are beating in rhythm or not. If not, then it could be a sign of Atrial fibrillation (AFib). How to Setup ECG app for the first time? Make sure to update your iPhone & Apple watch to the latest versions, before you can take an ECG test. Tap Set Up ECG App. Enter your birthdate & other personal information. Tap Continue & follow the onboarding process to know what the feature can & can’t do. After the setup is completed, launch ECG app to take the test. 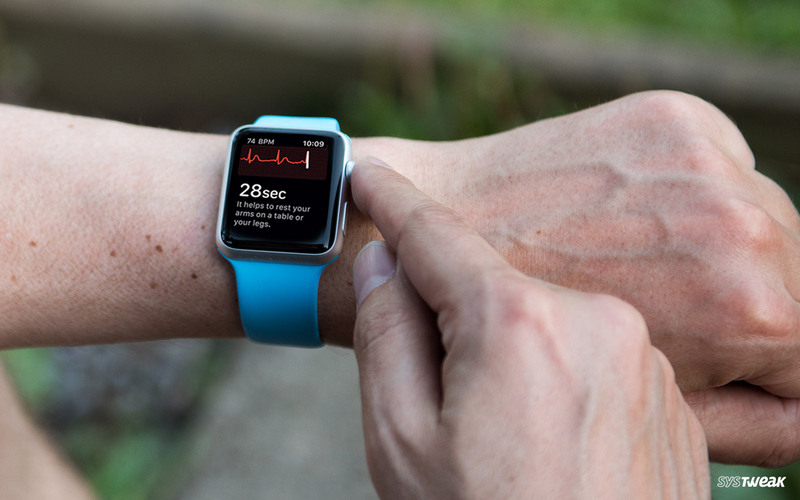 How to conduct an ECG test on Apple Watch Series 4? A pop-up will appear asking you to take your first ECG test. You can click Skip if you wish to take the ECG reading later. Rest your arm & try to relax & not move too much. Press the Digital Crown to launch apps on your watch. A countdown clock of 30 seconds will appear on the display. Hold your finger on the crown for at least 30 seconds to allow the app while electrical signals are measured. Sinus Rhythm – Appears when upper & lower chambers of the heart are not beating in sync. Low or high heart rate – Heart rhythm under 50 BPM or over 120 BPM. Atrial fibrillation – Means the heart is beating in an irregular pattern. Inconclusive – Means the measured recordings cannot be accurately classified, because you’re not resting your arms or have worn the watch very loose. How to view & share your Health information with the Doctor? Tap Heart > Electrocardiogram (ECG). ECG result & click on Export a PDF for your Doctor. 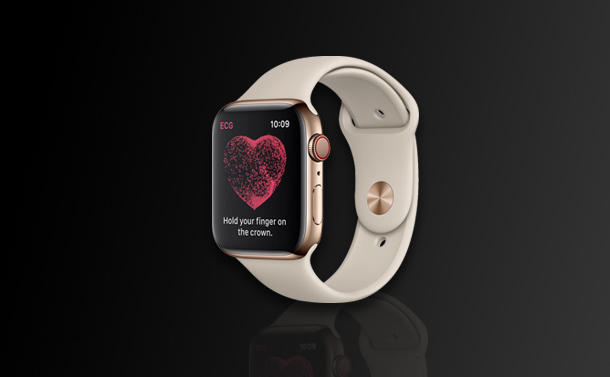 With all that said, hope this simple guide has helped you to use the ECG feature on your Apple Watch Series 4! Have more questions about the ECG feature? Let us know in the comment section below! How Invasive Is Google When It Comes To Personal Data?